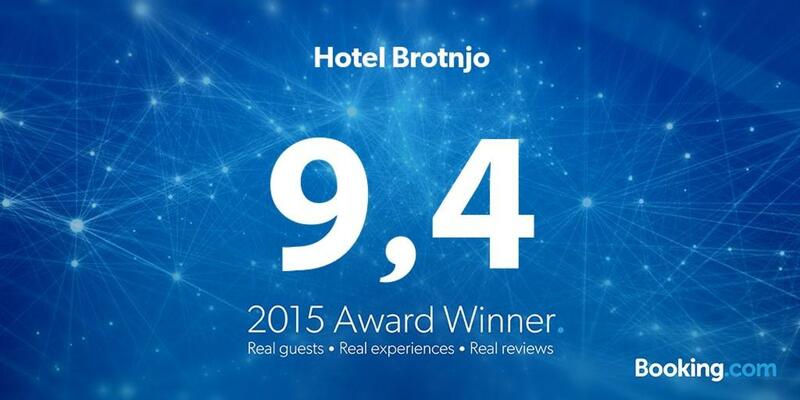 Hotel Brotnjo**** is located in a small town called Čitluk, only 3 km away from Marian shrine Međugorje and 20 km away from Mostar, the capital of Herzegovina with its Old Bridge which is protected by UNESCO. The hotel facilities are: a restaurant with a modern kitchen, a ceremony venue, two conference rooms, Herzegovinian tavern, two garden terraces, a café bar, a modern Wellness and Spa centre, a football pitch that meets UEFA standards, parking facilities etc. All facilities are adapted to business people and other guests seeking relaxation and to those who want to enjoy with their family and friends. There are also a supermarket, a bank, a perfumery, jewellery, a hair salon and a lottery shop. The hotel has 38 monernly furnished rooms. The hotel has 38 rooms with 88 beds and each room is equipped with high-quality furnishings, modern air-conditioning, a mini-bar, a telephone, a flat screen TV and Wi-Fi. Thanks to the service quality and professional staff approach Hotel Brotnjo has become a member of International Hotel & Restaurant Association (IHRA) based in Paris. Our restaurant “Grappolo” won a “Purple Bowl” and a “Golden Catering Crown” as the best restaurant in the country. Our hotel has met ISO and HACCP standards. The hotel has a great location for organizing trips to the regional sights like Old Bridge, Kravica waterfalls, old town Počitelj, tombstones in Stolac, Roman town in Čapljina, local church in Tihaljina, Vjetrenica cave and tekke in Blagaj. Regional destinations like Split, Dubrovnik and Sarajevo can be easily reached by road. Čitluk is the centre of Brotnjo region, it is an upland on the right bank of The Neretva River. Grape-vine and tobacco have been recognizable products of this region. There are many wineries here; they are a part of a project called “Wine routs of Herzegovina”. In the wineries you can taste and buy high-quality wines (the most famous are Žilavka and Blatina). Many South European high-quality wines are produced in small vineyards of western and southern Herzegovina. Here you can find many impressive monuments and intact nature. For many tourists the most attractive are simple, picturesque and scattered villages and local agriculturists. One thing is for sure Herzegovina will make a strong and long impression on you.